The jury is still out on whether spanking is a solid form of discipline, or if it should be classified as child abuse. It is a hot topic that has divided parents for centuries. Some see it as a good form of discipline, that is left as a last resort, while others see it as counter-productive and harmful. That teaching your children it is OK to be violent is not the way to correct their negative behaviour. Currently, in the US and Canada, it is legal to use spanking as a form of discipline, as long as the reasons are just and you do not injure your child. The guideline is usually to spank with an open hand, and it should never be hard enough to leave a mark on your child. There are people all over the world trying to get this changed, and that there could never be a reason that would justify you putting your hands on your child to strike them. With all of the parents out there who are against spanking, there are many out there who swear by it. Who are not afraid to spank their children in order to teach them that there are consequences for their actions. Some of these peoples are celebrities, mom and dads from Hollywood who have been caught spanking their children. Either on film, or by openly admitting that they do believe in corporal punishment and have used it on their children. Some of these celebrities may shock you, they may be people that you would never suspect to be parents who spank their children. Here is one we never thought possible, Pink! Pink has recently been making her way around social media with the message she sent her daughter about being who she is, and never changing for anyone. About accepting your differences, and celebrating them. This is one mom who we never thought would be pro-spanking. Spanking was common place decades ago, so a lot of parents who agree with spanking where spanked when they were children. Pink was one of those children, she remembers her parents spanking her when she deserved it. She even goes as far as to thank her parents for setting her straight when she really needed it. The world of child-rearing is changing, and it could be dangerous to always follow what your parents did, when their knowledge is now completely behind the times. We all need to change and grow as we gain more and more information. Who would have thought Beyoncé’s little sister is a pro-spanker? During an interview with The Young; Black and Beautiful, Solange was asked how she disciplines her children. Knowles Jr stated that she uses a three-system approach. The first is the look and the talk, the second is removing something of value and the third is a spanking. She states that she rarely gets to number three, maybe 2 or 3 times a year. The interesting thing is, Solange is not the minority. She is not one of the few who believe in spanking. In a shocking statistic, 81% of Americans believe in spanking, that is about 1 in 4. This number shows that a large percentage of Americans believe in corporal punishment when discipling their children. This number is clearly shocking, and not the number I expected it to be at. Who would have thought DJ Tanner from Full House and Fuller House is a proud spanker? She is not afraid to explain her decision to spank her children. She stated in a post that was released by Parent Connect. She wrote that she was not afraid to admit that she spanks her children. She claims that she gets a lot of her parenting advice and style from the Bible. She states that there are a lot of sections in the good book about discipling children. Again, when we look at the numbers, the number of parents who spank their children is decreasing by generation. This is partly due to the fact that more and more studies and information is coming out stating how damaging spanking can be. The Bible is a great source for a lot of things, but its parenting advice may be a tad out dated. Who would have thought the Brady bunch mom would be a real-life mom who believed in spanking her children? During an interview, Henderson admitted to spanking all four of her children. The issue of spanking also has a lot to do with where you live in the United States. They have found that the state or area you live in can influence if you do or do not spank your children. The highest percentage of spankers in the US was found in the southern states, about 86%. A fellow non-celebrity mom stated that when she moved to Texas with her children, she immediately felt a lot of pressure to spank her children. Not only that, but she was labelled a “bad mom” when she decided that she would not be using corporal punishment on her children. Who would have thought a mom would be judged for not spanking? Needless to say, this tweet rubbed a lot of people the wrong way, people who believe in the power of time-out and the damage caused by spanking. This is another example of past generational lessons being passed on. A lot of children (including myself) grew up being spanked, and because we turned out alright, we assume there is nothing wrong about it. Does it ever occur to anyone that we may be the exception and not the rule? 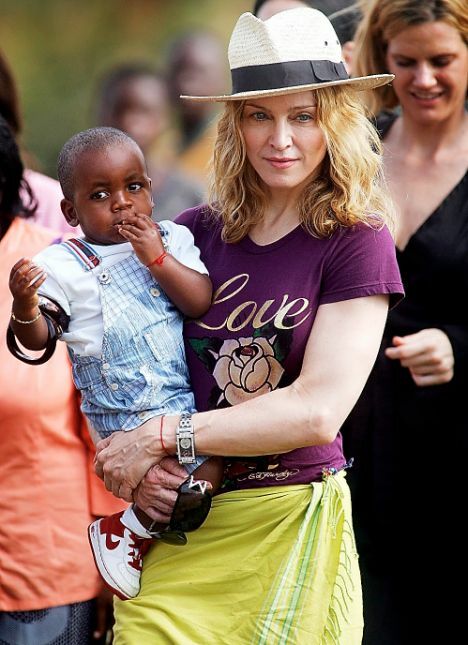 Madonna was outed by her son, David, for spanking her other child Rocco. Rocco was caught riding a horse without any adult supervision and falling off in the process, and the queen of pop snapped, and spanked her child. It is hard to be a mom, and sometimes we do reach points where we just snap. This usually happens when our children do something that is very dangerous. In a shocking statistic about spanking, 1 in 6 parents start spanking their children when they are 6-months old. I think even the most pro-spanking would agree that infants can not (and should not) be spanked. They lack the developmental knowledge of what is right and wrong. Most adults start to spank their child when they are around 3 years of age. There is a clear difference, a 3-year old knows right from wrong, and is able to understand that they have misbehaved. This one is no surprise, as she has been caught on many occasions spanking her children by the paparazzi. Gosselin has often come under fire for her parenting skills (or lack there of) as well as the belief that she is selfishly exploiting her own children for her monetary benefit. It is no shock that she also is a fan of corporal punishment. There have been many studies done to show just how damaging spanking can be. Dr. Elizabeth Gershoff, who is the Associate Professor of Human Development and Family Services at The University of Texas at Austin has a lot to say about it. She states that spanking has a lot of negative benefits to other types of behaviour our children exhibit. Sure, we may give a spanking for lying, but then we may be building a child who thinks it is OK to hit. Shaunie O’Neal is one of the stars of Basketball Wives’ and she was recently interviewed by Momlogic. 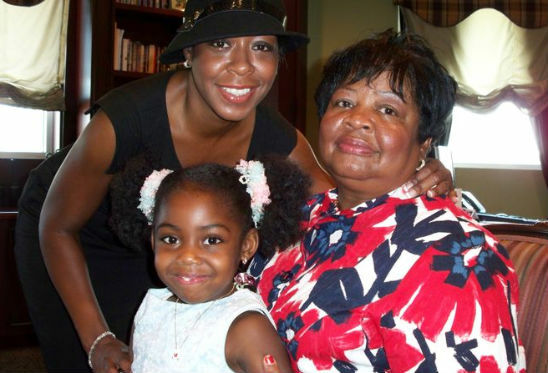 When she was interviews, she had something very interesting to say about disciplining her children. She stated, “I just firmly believe in instilling some sort of fear of mommy getting pissed.” I doubt this was received well, and for numerous reasons. We should not want our children to fear us, we should want them to feel like they can come to us with any problem and we will be there with love and support, and not an iron fist. Children want to please, they don’t want to misbehave, but they are learning and growing. They also do have a sense of making mommy happy, and they really don’t want to upset you. This form of logic can be very damaging to the relationship between a mom and her children. The moms seen on the show Teen Moms have always been under scrutiny, why should the topic of spanking be any different? Teen mom, Maci Bookout, was caught on camera spanking her child, Bentley, and the world had a lot to say. The episode showed the young mom out at a bowling place with her 5-year old son. When he started misbehaving, she took him to the washroom to discipline him, which included a spanking. Cameras were not allowed in the washroom (for obvious reason), but the sounds they recorded did not leave much to the imagination on what was happening. There are already thousands of moms who are saying that it is damaging to teach a child that the best way to handle a problem is by hitting. Now, it has been proven. There have been numerous studies that have shown that children who were spanked, proved to be more aggressive children as they grew older. Robin Thicke was once a name that was known no where, then he gets on the stage with Miley Cyrus and suddenly everyone knows who he is. Thicke and his ex-wife had a pretty ugly separation, and when it came to the discipline of their child, the child was not shy. He told his mother that his dad spanks him. 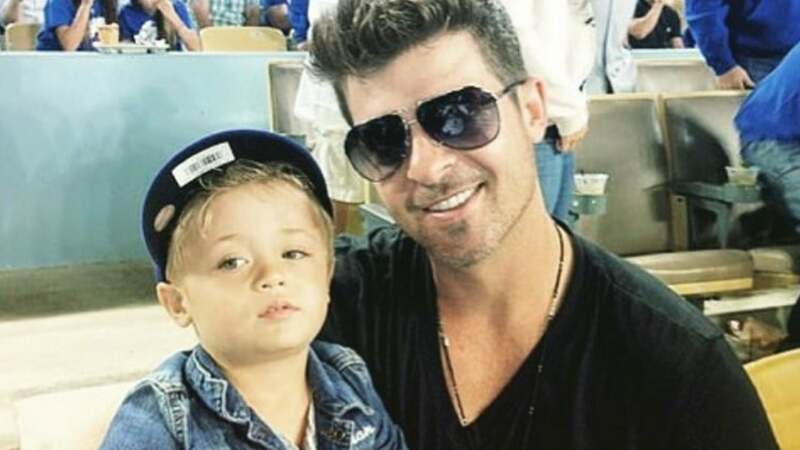 Thicke was outed by his own son, he was caught red-handed. Since this came to light, Robin has admitted to “lightly spanking” when the situation calls for it. It is interesting when we look at why parents spank their children. Usually, it has more to do with mom or dads state of mind than anything to do with what the child has done. Parents are more likely to spank if they are frustrated, angry, stressed or tired. That they are more likely to exhibit corporal punishment when they are at the end of their rope and just can not take anymore. It is easy to see why the moms of Teen Moms are always under a microscope, when we have not one, but two of them on our list. Leah Messer is another fellow teen mom who was caught on camera spanking her child. Leah was having a friend over, and her daughter was not behaving. Leah pulled her daughter into another room and shut the door, and proceeded to discipline her daughter the way she saw fit. Shockingly, it is only a small percentage of parents who when they spank their children, do so with their hands. A large percentage, about 1 in 4, have admitted to using an object to spank their child. 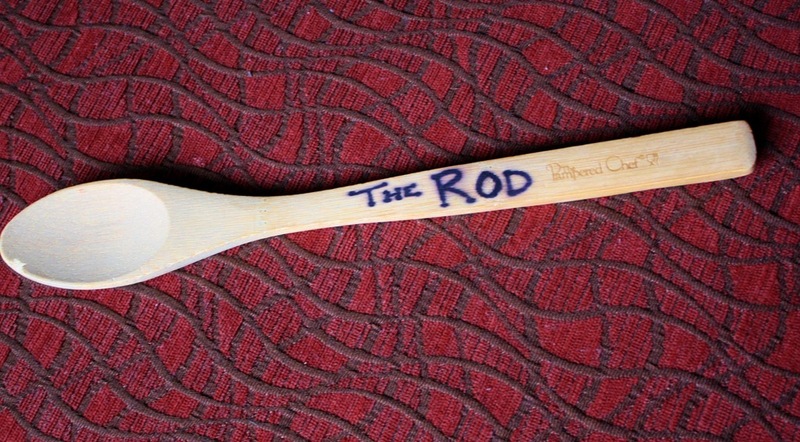 Whether it be a belt, wooden spoon or hair brush. This is where the line needs to be drawn in the sand, when does it become more than just discipline and border of actual child abuse? Now, it is no secret that the Duggar’s are an old-fashioned Christian family, with old-time values and opinions when it comes to parenting. The Duggar’s have been under fire a lot lately, for crimes much worse than the issue of spanking, but during all of the controversy someone spoke up. A family friend let the world know that the Duggar’s are not one to shy away from spanking their children. They take the phrase ‘spare the rod, spoil the child’ a little too seriously, they use an actual rod to spank their children. A study was done that stated that over half of all mothers who spanked felt guilty about spanking after it was done, about half the time. They are willing to admit that they acted out of last resort and frustration, and when given the chance to calm down, realized that it was the wrong choice. 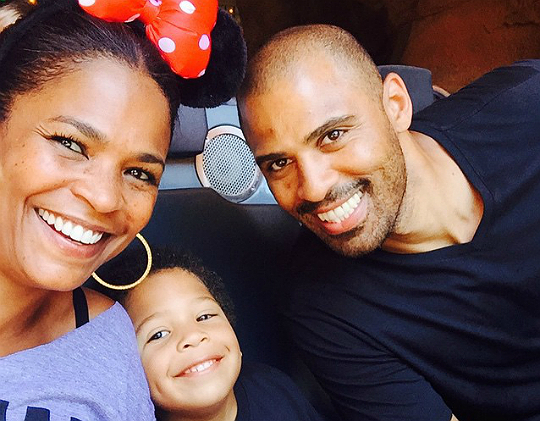 Nia Long is one of the stars of the Bad Mom’s Club, and she has very specific ways of disciplining her children, and she was outed in an interview with BET. When asked about disciplining, she stated that her youngest is 2, so she tries to talk to him, but the older one does get it. You should be proud of the parents who stick behind what they do, no matter what others think about it. One of the main reasons why spanking doesn’t work, is because when a parent sees that their discipline is not working, they tend to just up the ante. This means that they spank harder, instead of thinking of alternative ways of discipling. Studies have been done that show that the only thing a child learns from spanking is to fear their parent, not how to behave. Now, I don’t want to say that the spankings had anything to do with who his son grew up to be, but I am going to throw it out there. 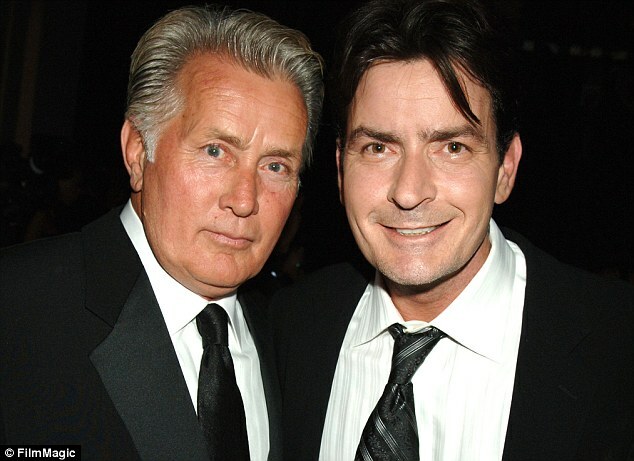 Martin Sheen and his son, Charlie Sheen, were both being interviewed by TV Guide in 2002. Charlie opened up and stated that he was spanked by his dad, and he can clearly remember two times in particularly. His response to the spankings was “so, what?” It was clearly not a big deal to Charlie. The big deal is that spanking has shown to increase lying behaviour in children. If a child knows that he or she will get spanked for doing something wrong, they are more likely to hide what they did from mom and dad, out of fear of getting a spanking. This creates a very large and difficult bridge to cross. In some cases, those bridges never get fixed, and mom, dad and child have a strained relationship that can last their entire life. Trichina Arnold is one of the stars of Martin, and recently came under fire for her view on spanking. She recently released a long expose, that was titled “Why Can’t We Spank Our Kids.” She then went on to say that she believes in spanking. She believes it is the best method to teach our children respect and proper behaviour. Well, there are a lot of people who would be more than willing to tell you why you can not spank your kids. Spanking has been linked to many deficits in brain activity and development in children. A study was done that showed that children who were spanked one time a month for a year, had less grey matter in their brain. What this means is that they are more likely to be afflicted by depression, anxiety and other mental illnesses. Children who were regularly spanked also performed a lot lower in their schooling as well.